Corona Coatings Corp. offers residential and commercial polyurethane spray foam roofing, foam wall insulation, foam tank coating, and foam roof inspection and certification services at competitive prices to all of Claremont. In our over 35 years of doing business throughout the Inland Empire, our experienced technicians have performed commercial and residential spray foam installation projects for thousands of satisfied clients, who have referred our products and services repeatedly to their business associates, family members, neighbors, and friends. 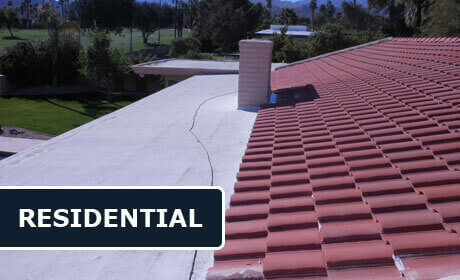 At Corona Coatings Corp., we also offer free on-site foam roofing system inspections, during which our qualified foam roofing professionals will carefully evaluate the functionality of your Claremont residential or commercial foam roofing system and recommend repairs as needed to keep your foam roof functioning exceptionally. And towards this end, we also offer annual routine maintenance services, during which we will carefully and thoroughly clean all debris from the roof, as well as all drains and rain gutters. Regular maintenance is an important aspect of proper foam roof care, and ensures optimal roof functionality. Spray polyurethane foam (SPF) roofing and wall insulation systems provide superior thermal performance over conventional insulation systems, and are simply the most energy efficient insulation systems available today. At Corona Coatings Corp., our skilled application technicians each have 12 to 14 years of experience working in the foam roofing and insulation industry, and are required to adhere to a rigorous schedule of ongoing training in the use and application of the high-performance, long-lasting polyurethane foam roofing and insulation systems we apply. 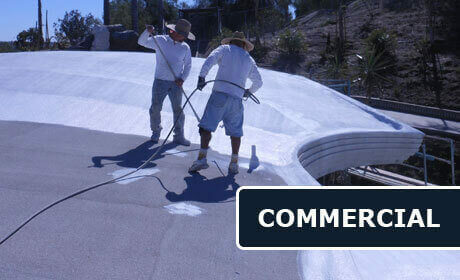 Call the foam roofing and insulation professionals at Corona Coatings today. We offer free onsite consultations and estimates to Claremont. Corona Coatings Corp. is licensed, bonded, and insured. Corona Coatings Corp. provides expert spray foam roofing, wall insulation, tank coating, and roof maintenance, inspection, and certification services for Claremont homes and businesses, and we are committed to showing business owners, construction industry professionals, and municipalities about how our polyurethane foam products can help to insulate their buildings and equipment, as well as reduce energy consumption. At Corona Coatings Corp., our skilled installation technicians each have years of experience working in the field, and will only recommend the most essential repairs and maintenance services necessary to prolong the lifespan and functionality of our spray foam roofing and insulation products. Is your Claremont home or business's existing asphalt-based roofing system leaking or otherwise causing problems? Are your home or business energy bills breaking your budget? Installing a polyurethane foam roofing system is a cost-effective, efficient way of remedying these troublesome issues. Corona Coatings Corp. is an authorized contractor for both the Henry Company and NCFI Polyurethanes, and proudly installs their spray polyurethane foam roofing and insulation products for its valued clients. At Corona Coatings Corp., we hold both a C-39 Roofing Contractor's license as well as a C-2 Insulation Contractor's license. Moreover, all of our technicians are required to adhere to a rigorous schedule of ongoing training in the use and application of the high-performance, long-lasting polyurethane foam roofing and insulation systems we apply. Don't replace your existing Claremont residential or commercial asphalt-based flat roof roofing system with the same old troublesome roof, call Corona Coatings Corp. At Corona Coatings, our skilled roofing technicians can typically apply our spray foam polyurethane roofing system directly over an existing asphalt-based roof, precluding the need for a costly, disruptive tear-off of the old roofing system. 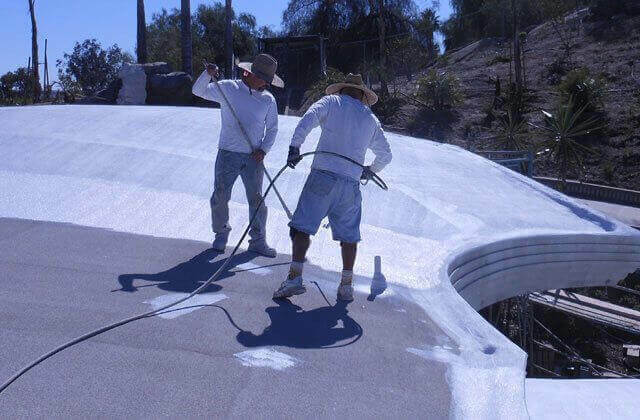 And while the seamless nature of foam roofing systems makes them highly resistant to damage, if mechanical damage to the foam membrane ever does occur, the required repairs can usually be performed with only a caulking gun and sealant. 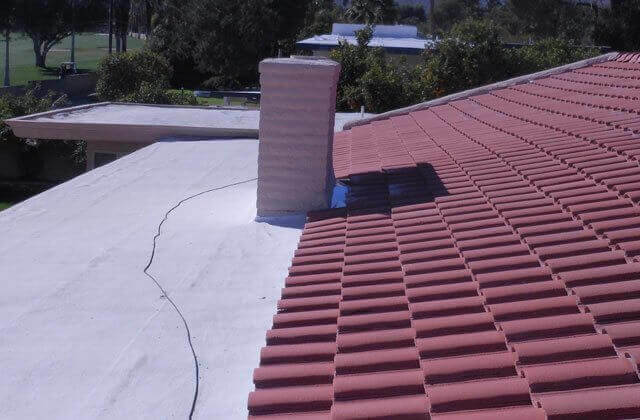 At Corona Coatings, we also offer Claremont free on-site foam roofing system inspections, during which our qualified foam roofing professionals will carefully evaluate the functionality of your residential or commercial foam roofing system and recommend repairs as needed to keep your foam roof functioning exceptionally. In addition, all of our repairs can be custom color-matched to seamlessly blend with any existing polyurethane foam roof color. At Corona Coatings Corp., we stand behind our superior spray polyurethane foam roofs with a ten year warranty. We are proud members of the Better Business Bureau (BBB) and the Spray Polyurethane Foam Alliance (SPFA). Join our thousands of satisfied customers throughout the Inland Empire. Call us today from Claremont. Polyurethane spray foam insulation is a time-tested, proven solution for maintaining even temperatures and reducing the energy costs associated with the heating and cooling of Claremont residential and commercial storage tanks. It has the highest R-Value of any insulation method available on the market, and has the ability to adhere tenaciously to the surfaces of storage tanks, filling in any cracks and seams, and creating a weather-tight thermal barrier between the tank and the elements outside. In addition, it also increases the structural integrity of the storage tank, and provides a seamless protective envelope around the tank which provides a highly effective vapor and moisture condensation barrier. Moreover, polyurethane foam insulation protects storage tanks against the damaging effects of rust and corrosion, thereby prolonging their life spans. Closed cell spray polyurethane wall insulation systems are simply the highest quality insulation systems available today. They help to keep your Claremont home or business property warm in the winter and cool in the summer, and also provide a superior environmental envelope against airflow through your building's walls, providing a barrier against outside dust, pollen, and other airborne pollutants, which leads to improved indoor air quality in your home or business. Polyurethane foam wall insulation also possesses greater sound-dampening properties than fiberglass and cellulose wall insulation systems. Moreover, the installation of spray foam insulation in new construction or the retrofitting of existing construction with spray foam insulation may make the property's owner eligible for tax credits, rebates, and other incentives. Claremont, California Homeowners, Business Owners, and Construction Industry Professionals Call Corona Coatings Corp.
Join our thousands of satisfied customers throughout the Inland Empire. Claremont home and business owners, and building contractors trust Corona Coatings Corp. Call us today. We offer free onsite estimates on all roofing and insulation projects, and accept all major credit cards.